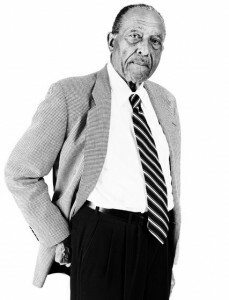 … in 1956, Henry Frye … was 24 and had just returned from Korea, where he served as an Air Force officer, but he was also a black man in the American South, so he wasn’t entirely surprised when his efforts at the registrar’s office were blocked. Only about one-quarter of eligible black voters in the South were registered that year, according to the limited records available. By 1959, when Frye went on to become one of the first black graduates of the University of North Carolina law school, that number had changed little. In the decades that followed, Frye and hundreds of other new black legislators built on the promise of the Voting Rights Act, not just easing access to the ballot but finding ways to actively encourage voting, with new state laws allowing people to register at the Department of Motor Vehicles and public-assistance offices; to register and vote on the same day; to have ballots count even when filed in the wrong precinct; to vote by mail; and, perhaps most significant, to vote weeks before Election Day. All of those advances were protected by the Voting Rights Act, and they helped black registration increase steadily. In 2008, for the first time, black turnout was nearly equal to white turnout, and Barack Obama was elected the nation’s first black president. Since then, however, the legal trend has abruptly reversed. In 2010, Republicans flipped control of 11 state legislatures and, raising the specter of voter fraud, began undoing much of the work of Frye and subsequent generations of state legislators. They rolled back early voting, eliminated same-day registration, disqualified ballots filed outside home precincts and created new demands for photo ID at polling places. In 2013, the Supreme Court, in the case of Shelby County v. Holder, directly countermanded the Section 5 authority of the Justice Department to dispute any of these changes in the states Section 5 covered. Chief Justice John Roberts Jr., writing for the majority, declared that the Voting Rights Act had done its job, and it was time to move on. Republican state legislators proceeded with a new round of even more restrictive voting laws. All of these seemingly sudden changes were a result of a little-known part of the American civil rights story. It involves a largely Republican countermovement of ideologues and partisan operatives who, from the moment the Voting Rights Act became law, methodically set out to undercut or dismantle its most important requirements. The story of that decades-long battle over the iconic law’s tenets and effects has rarely been told, but in July many of its veteran warriors met in a North Carolina courthouse to argue the legality of a new state voting law that the Brennan Center for Justice at the New York University Law School has called one of the “most restrictive since the Jim Crow era.” The decision, which is expected later this year, could determine whether the civil rights movement’s signature achievement is still justified 50 years after its signing, or if the movement itself is finished.